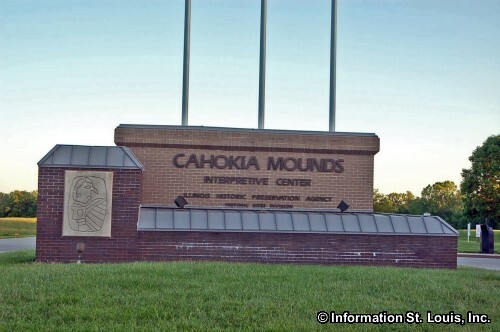 Cahokia Mounds is the remnants of the Mississippian culture's central city and is the site of the largest prehistoric native American mound north of Mexico. 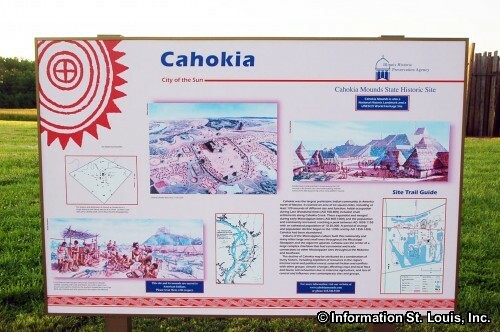 It takes its name, Cahokia, from the native Americans who lived nearby in the late 1600s. 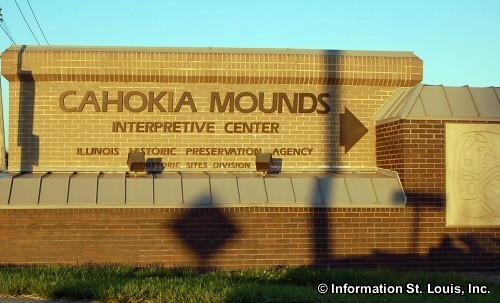 The mounds are preserved within the 2,200-acre tract that is the Cahokia Mounds State Historic Site, located just 8 miles east of downtown St. Louis. 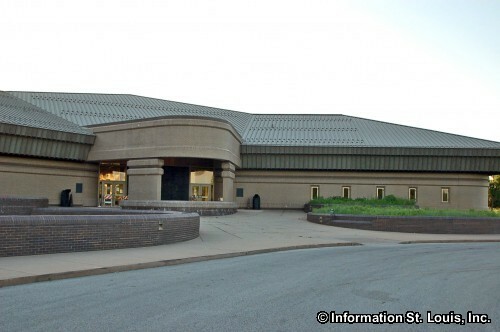 The Cahokia Mounds Interpretive Center offers a fuller understanding of what daily life was like there from A.D. 800 to 1400, and it also has a life-size diorama of Cahokia as it looked 900 years ago. 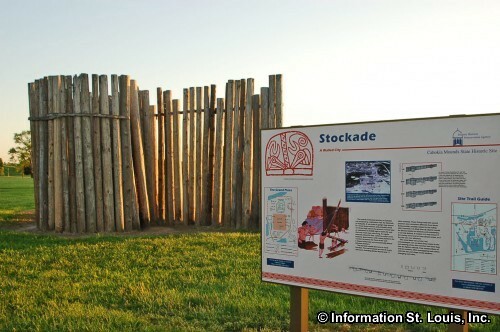 Other attractions include a reconstructed thatched-roof house with daub construction, a garden of representative plants from the era, and a reconstructed Woodhenge solar calendar. 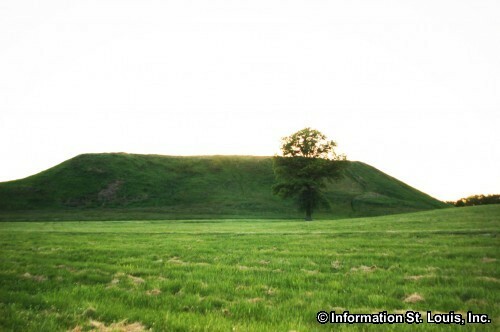 This site has been named a United States National Historic Landmark and a United Nations World Heritage Site. 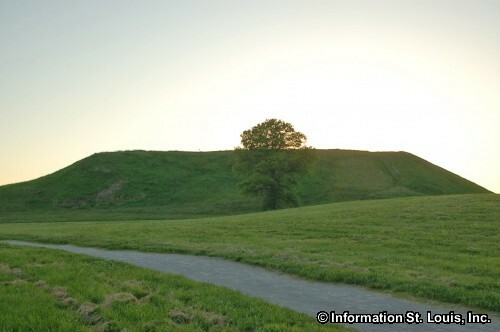 Walk the trails through the Grand Plaza, climb the 100 foot high Monks Mound, and experience the ancient sun calendar, Woodhenge, tour the museum and visit the Gift Shop. Admission is free, but a donation is suggested.